Welcome to Medina Specialized Hospital Luxor! We are the first Specialized Hospital in Luxor to give Orthopaedic care. We provide specialized care with professional efficiency to ensure the best care is delivered to our patients. 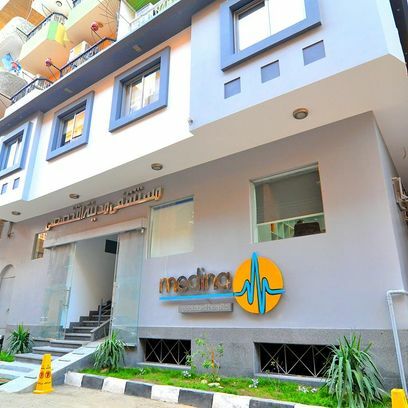 We aim to make a difference within our approach to medical care in Luxor. We work cooperatively with Insurance Companies around the world for patient security during their stay at Medina. We have consistent co-operation with our contracted Doctors to facilitate all of our patient’s needs and requirements. At Medina we are open 24 hours a day for constant care to emergency arrivals. We are fully equipped to manage incoming patients throughout the day and night to obtain a safe and secure environment. Our team of Nurses, here at Medina are specialized in providing a professional environment with on-care treatment as well as maintaining patient satisfaction. Quality and Speed of Service We are ready to provide quality, speedy services with a high level of professionalism. We guarantee maximum efficiency, speed and reliability through our own staff of medical professionals, ambulances, and 24/7 alarm centers staffed by multilingual employees with extensive experience in their field.